​Just 4 miles outside Bangor city centre (Frequent bus service into Bangor) and close to the A55 this Premier Inn is a great base to explore North Wales. There is an on-site Table Table restaurant and free parking available. 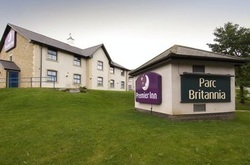 Book direct for the best Premier Inn Bangor deals.